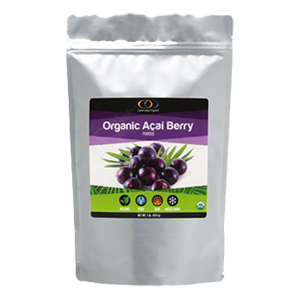 Acai berry is probably one of the most well-known of the superfruit varieties. Recently introduced to the western world for its high concentration of immune boosting antioxidants, it is another top superfood option to complement a healthy diet. 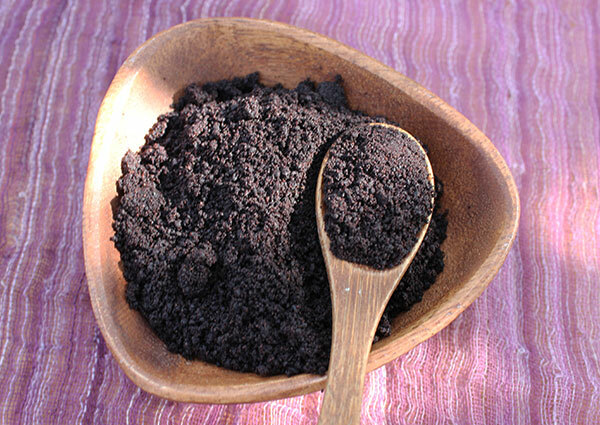 Although utilized as a food source for centuries by native Amazonian peoples, acai pulp was originally introduced to Rio de Janeiro in the 70's and 80's where it became a popular ingredient in energizing drinks and the famous acai bowl ("açaí na tigela"), a type of cold soup often combined with sweetener and milk. Acai became particularly famous on a larger scale in 2008, after it was labeled #1 superfood by Dr. Perricone on the Oprah Winfrey Show. This was the beginning of an influx of cheap acai products and "weight loss" supplements trying to capitalize on acai as the latest miracle health food. Since this time, unfortunately, the berry has been highly marketed and misused as an advertising gimmick in a wide range of low quality energy drinks, juices and supplements. 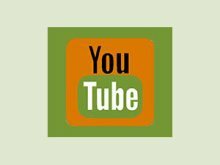 Although acai has been promoted at various times on national T.V. by other "doctor celebrity's", like Dr. Oz, for its unique nutritional profile, exaggerated health claims endorsing acai berries as a "cure for weight loss" has become a common theme. 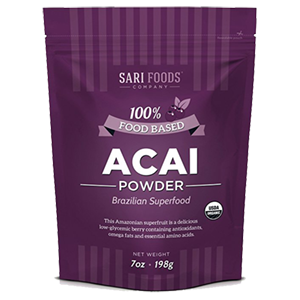 The truth of the matter is that acai and its freeze-dried powders and fruit pulp concentrates are merely just another great superfood to adjunct a health promoting diet and lifestyle. Weight loss can, of course, be a side effect of making better food choices, but the idea that acai berry can help you lose weight all on its own is far from anything we support or endorse. All brightly pigmented berries are known for their high antioxidant levels. 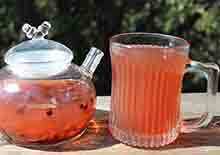 This includes the more common blueberries and blackberries, especially wild harvested varieties. 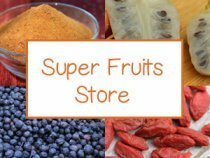 However, there are also a specific class of superfruits which contain condensed sources of protective immune building substances that can be helpful adjuncts to include in the diet in small amounts. These certain types of berries and fruits naturally grow in more remote arid regions and wild tropical rain forest locations, producing fruit with concentrated levels of antioxidant enzymes and metabolites, like polyphenols. 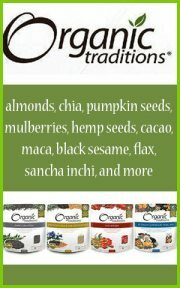 This list includes acai as well as a number of others like goji, maqui, amla and camu. Many of these fruits are imported dried or as concentrated extracts or powders to countries outside their native habitats. Acai berry, because it spoils soon after harvest, is typically freeze-dried or frozen as a berry pulp for export. It is commonly used this way even in Brazil because the fresh fruit doesn't have much of a shelf life. Acai palm fruit is a low-glycemic variety, compared to other superfruits, and also contains beneficial compounds such as anthocyanins, polyphenols, beta-carotene, beta-sitosterol and small quantities of resveratrol. Acai (pronounced "ah-sigh-ee") is native to one of the largest biodiverse rainforests in the world, the Amazon, home to one third of all plant and animal species. Acai (Euterpe oleracea) is a palm tree species that grows an average of 82 ft (25 m) tall in swamps and floodplains in both Central and South America. It is specifically found growing in large numbers in Brazil, along the banks of the Amazon River. The round, purple-black berries, roughly about a circumference of 3/4-1 inches (19-25 mm), grow off the palm tree in strands or long clusters similar to other types of palm tree fruit, like the California fan palm species. While the thick skin exterior of the fruit is a darker purple pigmentation, the interior layer of flesh is thin and lighter in color. The pulp surrounds a single seed about 0.3–0.4 inches (7–10 mm) in diameter and together with its hard endocarp shell makes up approximately 70-80% of the berry. 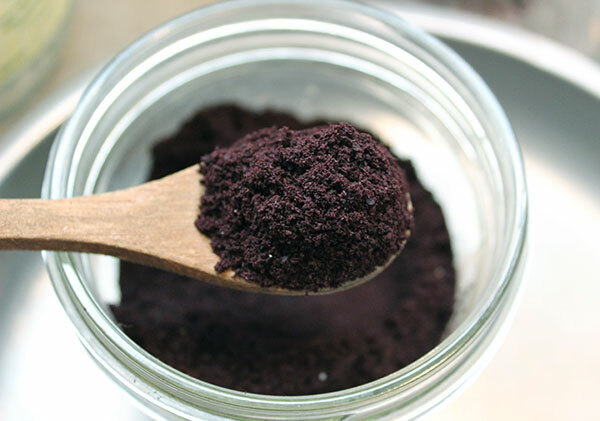 For commercial production purposes these seeds are removed and the acai pulp and skin are the components utilized for further processing. 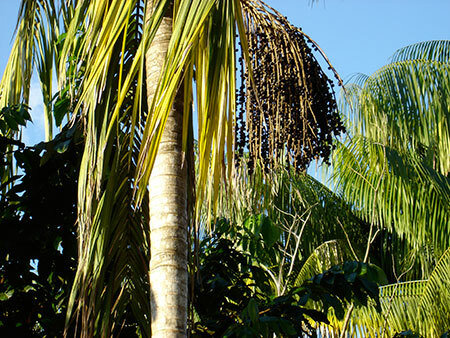 The acai palm tree typically produces between 700-900 berries with two crop harvests occurring twice a year in the dry seasons. The Caboclo indigenous populations of the Brazilian Amazon are known to be one of the most prolific consumers of the acai palm fruit, which is a traditional dietary staple. Other native peoples, like the Shuar, Yanomami and Kayapo also use the acai palm, its seeds, palm hearts and leaves, as a food, medicine and resource material. 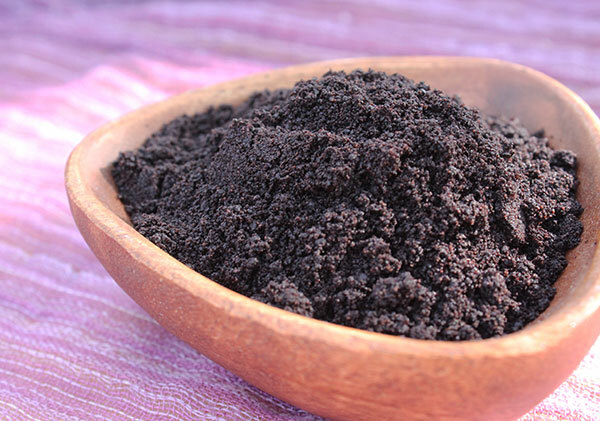 The name "acai" is said to come from Brazilian folklore and the legendary story of "Iaca", the daughter of a tribal leader, which is acai spelled backwards. The acai fruit is very well known for its extremely high levels of antioxidant-rich nutrients, including anthocyanins, flavonoids and polyphenols. All foods high in antioxidants are very beneficial for boosting protective immune responses and preventing free radical damage to cells. Most dark pigmented wild berries contain large quantities of antioxidants as well as encourage their natural production in the body. We especially recommend this class of "super berries", like maqui berry, camu berry, goji berries, acerola as well acai. Other more common berries like cranberries, blueberries, blackberries as well as red grape and pomegranate are also good to include in the daily diet. Keep in mind that wild varieties are typically higher in overall antioxidant content. One of the benefits to consuming acai, however, is that it contains a relatively small amount of sugar compared to other fruits. This aspect makes it a better selection for those on a low-glycemic or ketogenic diet. In addition, the powders are also more concentrated when freeze-dried in contrast to fruits or berries with more water content and fruit flesh. 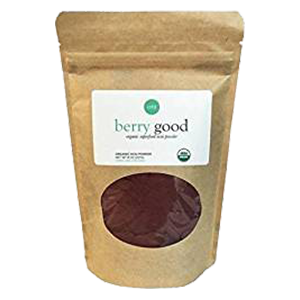 Acai berry powders contain a high ratio of berry skins, the area where the health enhancing antioxidants are primarily located. 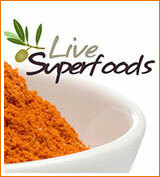 Antioxidant-rich foods specifically help to boost the secretory immune response. This is the protective shield and the body's first line of defense. The secretory or "surface immune system" neutralizes harmful free radicals and potentially pathogenic toxins and destroys them before they get out of control. In a normal healthy person, this protective shield is constantly circulating and actively working to protect us. But as we age, our immune response tends to weaken and it therefore becomes appropriate to look to foods and "antioxidant superfood helpers" to provide additional support. Consuming dietary antioxidant superfruit concentrates can be extremely helpful for significantly increasing immune health and our systems response to pathogens we are all invariably exposed to through food, water and atmospheric sources. Today we require more nutritional potency from the foods we eat to balance the high amount of environmental contaminants and ingested pollutants, from plastics to radiation exposure. It is helpful for long-term wellness to do everything we can do to boost our immune system and shield ourselves against the constant influx of these toxic substances. 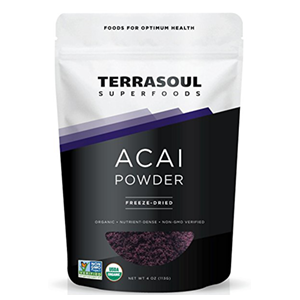 In one study using acai berry freeze-dried pulp for oxidative stress and inflamed conditions associated with age-related diseases of the brain, acai was found to contain a number of other anthocyanins and phenolics. "Fractions extracted using methanol and ethanol were particularly rich in anthocyanins such as cyanidin, delphinidin, malvidin, pelargonidin, and peonidin, whereas the fraction extracted using acetone was rich in other phenolics such as catechin, ferulic acid, quercetin, resveratrol, and synergic and vanillic acids." In a 2015 published study in the Biology of Sport conducted on athletes, it was shown that "findings strongly support the view of the health benefits of supplementation with the acai berry-based juice blend, mainly attributed to its high total polyphenol content and the related high in vivo antioxidant and hypocholesterolaemic activities of this supplement." Other 2015 reported research indicates that acai berry "may be a useful and practical ergogenic aid to enhance performance during high-intensity training." The term ergogenic means "to enhance physical performance, stamina or recovery." Consuming a variety of brightly pigmented berries has been shown to be a part of a heart healthy diet and may help to improve cardiovascular risk profiles. Acai is also composed of beta-sitosterol. a plant sterol that has shown to be potentially beneficial for reducing benign prostatic hyperplasia and blood cholesterol levels. Antioxidants, when consumed through dietary sources or applied directly, protect the skin layer by limiting the production of free radicals, which can damage skin tissue over time. Acai is sometimes found in skin care products for this reason to help improve skin health and reduce wrinkling. Berries like acai, which are also high in beta-carotene (or vitamin A), are additionally beneficial supplements for maintaining healthy eyes and vision. Acai berries are nutritionally higher in beta-carotene (vitamin A) and calcium along with small amounts of iron. Trace amounts of vitamin C may also be present, but this seems to vary from brand to brand. Acai is also composed of fatty acids and some amino acids, which is rare for most fruits. The fat content consists of mostly oleic acid and palmitic acid with secondary amounts of omega fatty acids, mostly linolenic acid. 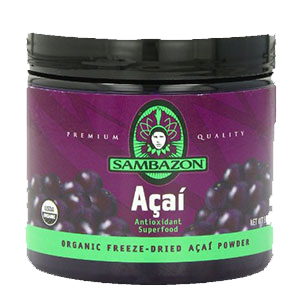 In the early 2000's the American owned company, Sambazon, were one of the first to begin commercial plantation production of acai berry as an export product. Today there are many types of acai products on the market, most of them we feel are total marketing gimmicks and cheap look-a-likes with the label "good for weight loss" written all over them. In addition, many marketers are falsely using celebrity names "Dr. Oz" or "Oprah" in their advertisements or on product labeling to boost sales. 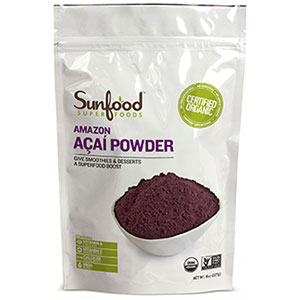 We advise using high quality unsweetened straight acai powders, pulp or juices that are wild-harvested, organically certified and contain no other ingredients. In addition, it is always best to purchase acai that is sustainability harvested by local farming cooperatives, which supports the ecology of this precious habitat as well as the economy of native peoples living in these regions. Is Quality Acai Considered a Raw Food? Because acai berries quickly go rancid and begin to spoil soon after harvest, it is a very common practice to freeze the berries or berry pulp immediately after they are picked to ensure quality as well as edibility. However, all freshly harvested acai berries are "flash pasteurized" before this procedure. According to our direct communications with Sambazon, this is a required processing standard employed by the FDA and the Brazilian Ministry of Health. This basically means that the raw berries are blanched in hot water for between 15-30 seconds. To what degree this destroys nutrients or affects volatile fatty acid content is unknown. Freeze-dried acai should not smell rancid, which is potentially an indication that oils have been exposed too long to high temperatures. Depending on the company, however, the temperature at which the berries are processed can vary. Even brands that are labeled "raw" undergo some kind of heat treatment to kill various potential microbes or molds that can cause spoilage and reduce shelf life. Currently, there is no legally defined standard for what makes a food a "raw" product and brands often advertised as "raw acai" have been heat treated well above 115–118° F (45-48°C). 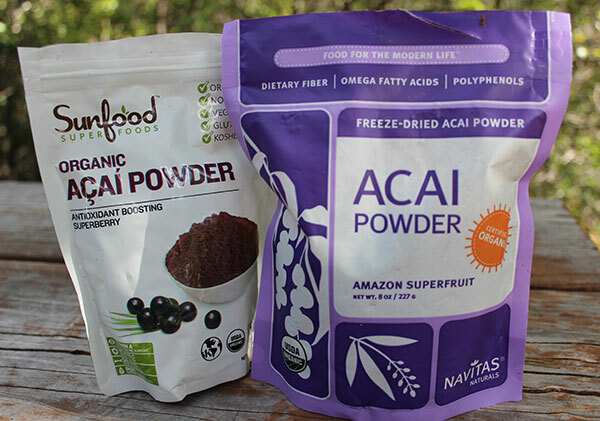 Unfortunately, because of marketing scams the price of acai berry powder and frozen fruit pulp have skyrocketed with the freeze-dried powders coming in at close to 80-100 dollars a pound, as of 2013. Luckily, an adequate dose serving size is usually about 1-1 ½ teaspoons, or roughly 75 servings for an 8oz bag that costs $40. 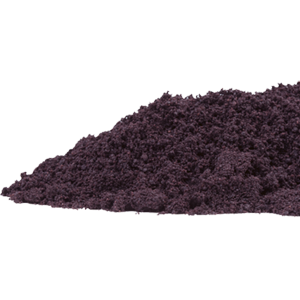 Freeze-Dried Acai Berry Powder - Freeze-drying is a process that involves freezing the fresh acai fruit pulp (without seed) and then "dries" out the ice or moisture through a vacuum system. This technique is essential for producing a high quality powder. Because acai contains fatty acids that turn rancid soon after harvest, this is necessary step to preserve highest nutritional quality. Frozen Acai Pulp - Acai can also be purchased as a frozen fruit pulp. Again, this is to maintain nutrient integrity. This variety is closer to the fresh fruit version and is the next best option to using the fresh berries in recipes. Acai Berry Juice - In general, most commercial acai juices also contain added sweeteners, caffeine and flavorings you don't really want to consume. 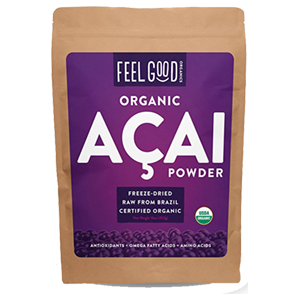 We have not yet found a high quality acai juice that holds up to our standards and thus exclusively use the frozen pulp or freeze-dried powders. Fresh Acai - It is hard to find fresh acai berries if you don't live in Brazil or other tropical climate locations conducive to their growth. This is, of course, the best way to get the most benefits out of the fruit, but is harder to find in most parts of the world. 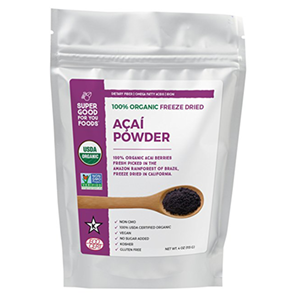 Acai Supplements - The freeze-dried powders can also be consumed as encapsulated powders or tablets. 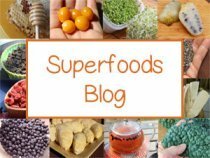 Sunfood Superfoods - Available as a wild-harvested, organic freeze-dried powder that has been flash pasteurized before frozen (at 293°F or 145°C). 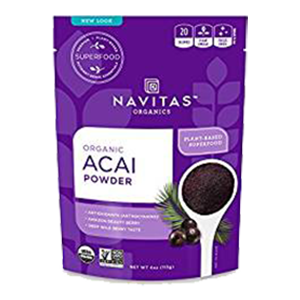 Nativas Naturals - Provides wild-harvested acai powder that is organic, freeze-dried and "low-temperature milled", however it is still flash pasteurized at 160-165°F (71-74°C). It contains 1% natural citric acid derived from lemons and limes, which acts as a natural preservative. 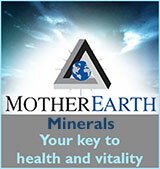 Mountain Rose Herbs - As of 2013, offers an organic freeze-dried wild-harvested powder that has also gone through lab testing for potential contaminants. 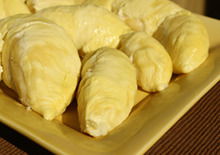 It is flash pasteurized at 222-230°F (106-110°C). 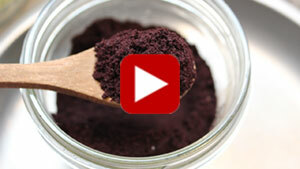 Sambazon - Offer organic, freeze-dried, wild-harvested acai powder that also contains citric acid. According to our direct communications with the company, their pasteurization temperature is "proprietary information", which probably means the pasteurized temperatures are higher than other brands. They also offer frozen acai pulp, sorbet in addition to a number of juice blends and energy drinks, but unfortunately these products also contain caffeinated substances as well as refined sugars. 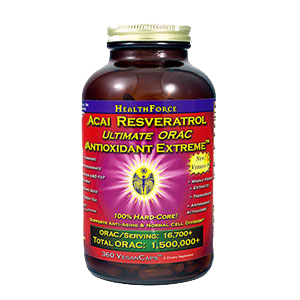 Healthforce Nutritionals - Antioxidant Extreme is one of our personal favorite superberry supplements and is a blend of many unique antioxidant-rich herbs and foods, including acai but also others like turmeric, mangostein and grape seed extract. 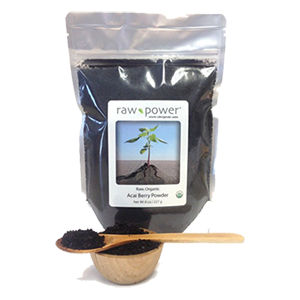 Acai powders or pulp concentrates have a very mild slightly tart flavor and can be incorporated into many different kinds of smoothies, pies, cookies, fruit pops, fruit leather, sorbet, ice cream, energy bars as well as assorted high raw dessert recipes. We use the freeze-dried powder, along with wild blackberries, in our raw cheesecake recipe. Homemade juice can be made, of course, by juicing the fresh berries (if you happen to live in the Brazilian Amazon). 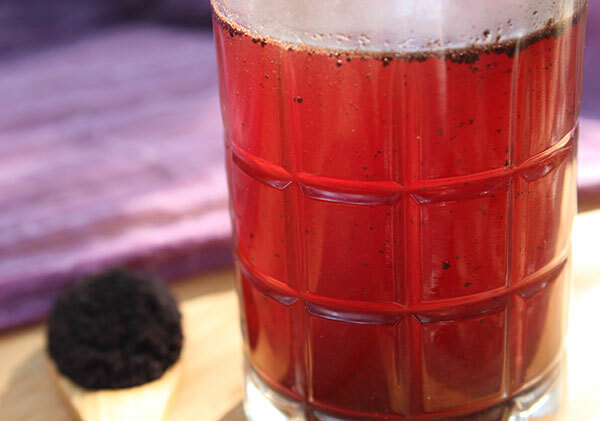 Another version of acai juice can be made by blending the powder or pulp in a blender with water. This makes a rich, tangy purple liquid that you can sweeten and refrigerate for a refreshing beverage. In Brazil, the seeded frozen or mashed fresh açaí palm fruits are commonly blended with cream, tapioca and sweeteners, traditionally served as a cold soup known as açaí na tigela. 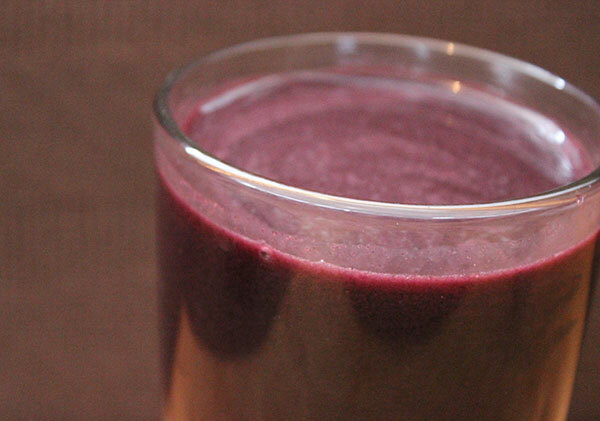 This is one of our favorite smoothie recipes made with other antioxidant-rich superfruits. Blend in a blender on high speed until smooth. While acai is considered relatively safe to consume for most people, it is best to consult your health care practitioner if you have an extreme medical condition or are undergoing chemotherapy or radiation treatment. Avoid intake if you have allergic reactions to foods from the Arecaceae family.